Audio Electronics provides information pertinent to the fundamental aspects of audio electronics. This book discusses the parallel development in the various transducers and interface devices used to generate and reproduce electrical signals. 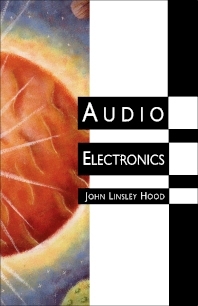 Organized into nine chapters, this book begins with an overview of the basic method of digitally encoding an analog signal that entails repetitively sampling the input signal at sufficiently brief intervals. This text then examines the major attraction of the FM broadcasting system to allow the transmission of a high quality stereo signal without significant degradation of audio quality. Other chapters consider the conventional practice to interpose a versatile pre-amplifier unit between the power amplifier and the external signal sources. This book discusses as well the requirements for voltage gain stages in both audio amplifiers and integrated-circuit operational amplifiers. The final chapter deals with the significance of the power supply unit. This book is a valuable resource for professional recording and audio engineers.